It’s no secret that many politicians in the United States have shied away from cryptocurrency, as they are often unsure about whether to endorse or attack the sector. In fact, a Senate hearing has made waves in the cryptocurrency community, as it featured Nouriel Roubini, a famous economist, railing against cryptocurrency to a point that many considered excessive and unprofessional. However, one exception to the rule has been Ron Paul, an 83-year old Republican U.S. representative. 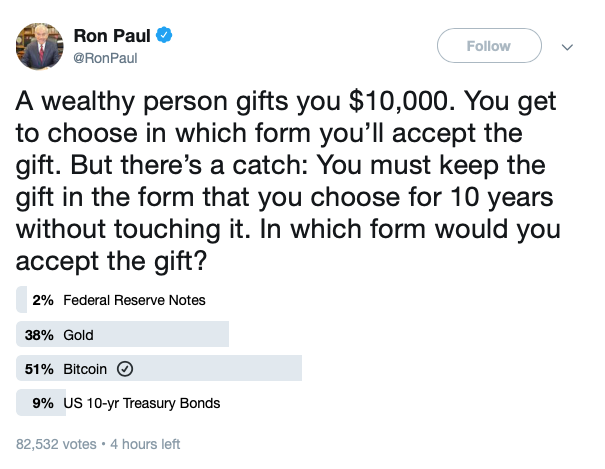 While many politicians have been shying away from speaking about Bitcoin and other cryptocurrencies, Ron Paul – also a medical doctor – tweeted out a poll yesterday that has yielded some interesting results. A wealthy person gifts you $10,000. You get to choose in which form you’ll accept the gift. But there’s a catch: You must keep the gift in the form that you choose for 10 years without touching it. In which form would you accept the gift? Many in the cryptocurrency community have shared the poll, as it certainly could be viewed as a bullish sign: over half of the votes are for Bitcoin, which leads the poll, although gold does make up 38% of the votes. The more “traditional” financial investment choices such as Federal Reserve Notes and US 10-year Treasury Bonds only picked up 11% of the votes. Ron Paul, who used to be skeptical of Bitcoin, seems to have changed his tone. 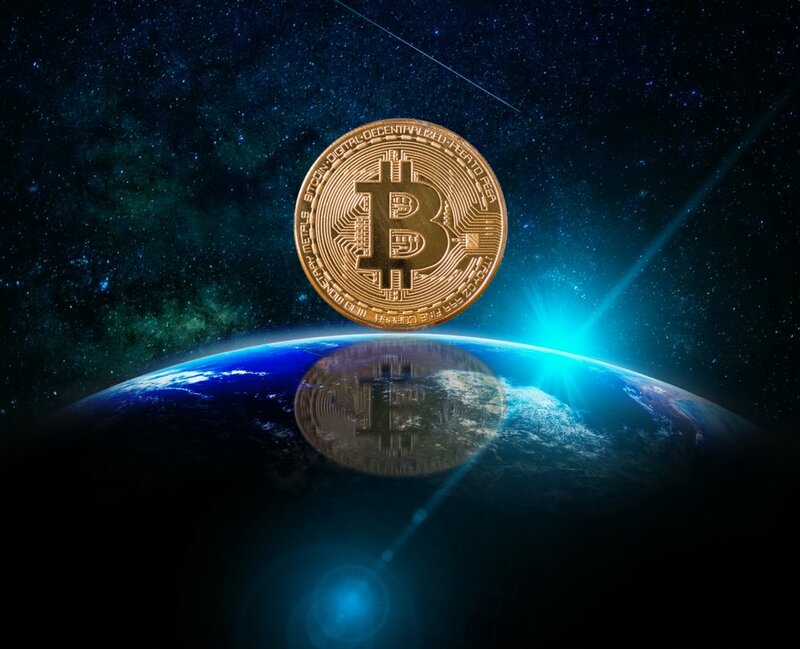 In a recent blog post, the U.S. Representative criticized the Federal Reserve, and suggested that a tax exemption on cryptocurrencies could help to prevent a future recession.